You are probably reading this right now stressed, frustrated, exhausted, etc. because your 7th grade student is having difficulty with the 4 letter word “math”. I feel you–and as someone who tutored for 7 years, I absolutely understand where you are right now. As the CEO of the leading in-person and online tutoring company in the nation, I feel the obligation and duty to help all 7th grade students master their mathematical skills, regardless of if they use our services or not. Therefore, my team and I have spent dozens of hours of research to compile a regularly updated post on everything you need to know about 7th grade math from the most credible resources currently available on the web in an practical and engaging format. (4) drawing inferences about populations based on samples. 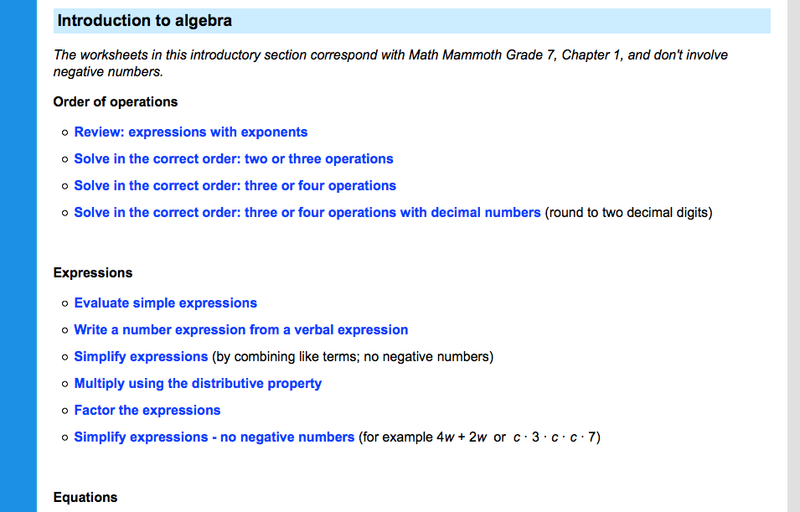 The common core breaks 7th grade math down into 5 section as listed below. Click on the links to view more information on the specific standard. 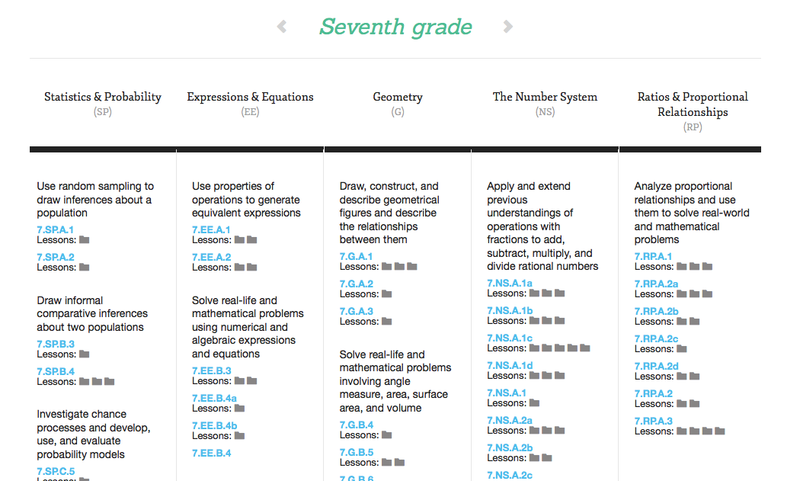 See 7th grade math common standards in detail by clicking here. Well, there you have it! Everything you need to know to efficiently identify all common core 7th grade math standards and curriculum. 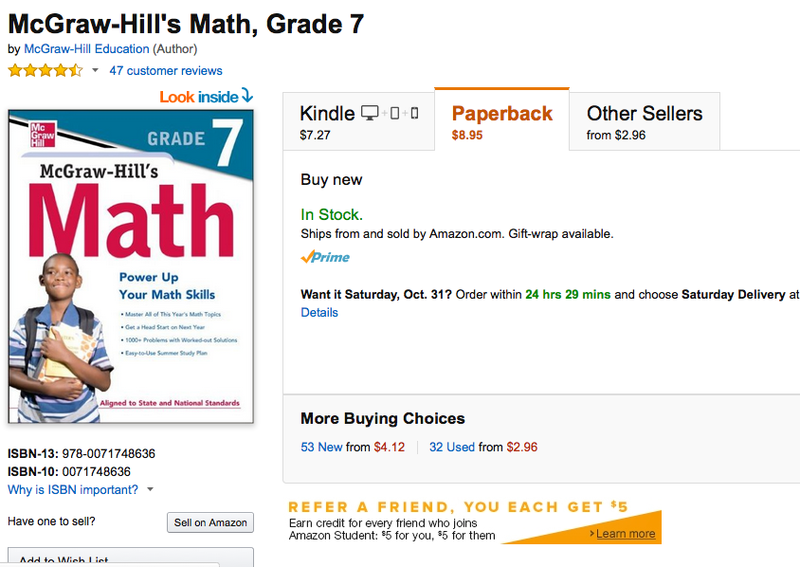 Now it is time to teach yourself everything you need to know about 7th grade math. Now that you know all the 7th grade math curriculum and what is expected by common core, let’s show you the most credible, trustworthy, and best resources across the web to help teach you the 7th grade math curriculum and standards. If you’re looking for a great 7th grade math vocabulary resource, look no further. 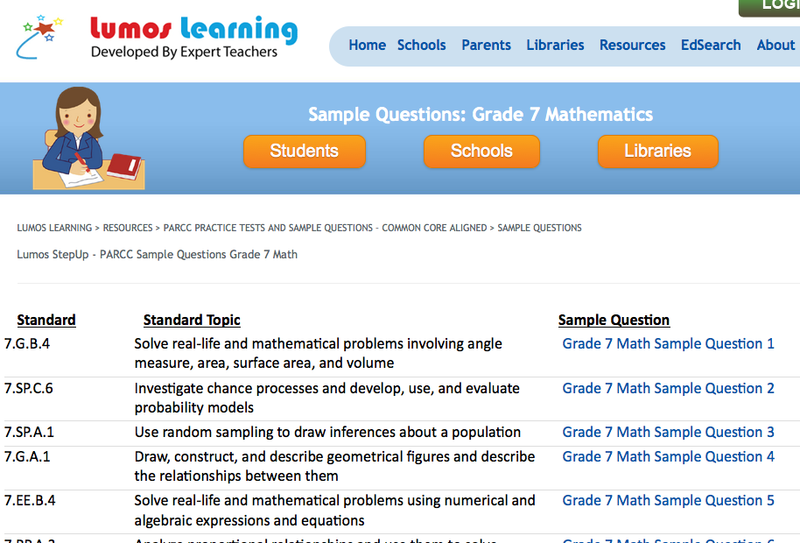 This free Harcourt website provides math definitions from A-Z. Click on the terms and watch the definition pop up! You can test yourself, and it provides good practice. Plus, there’s even more! If you’re looking for reminders on metric and customary units, just click on the word “Tables” underneath the highlighted number 7. There, for your studying convenience, you’ll find tables on metric and customary units, as well as time, formulas, and symbols you might have forgotten about. 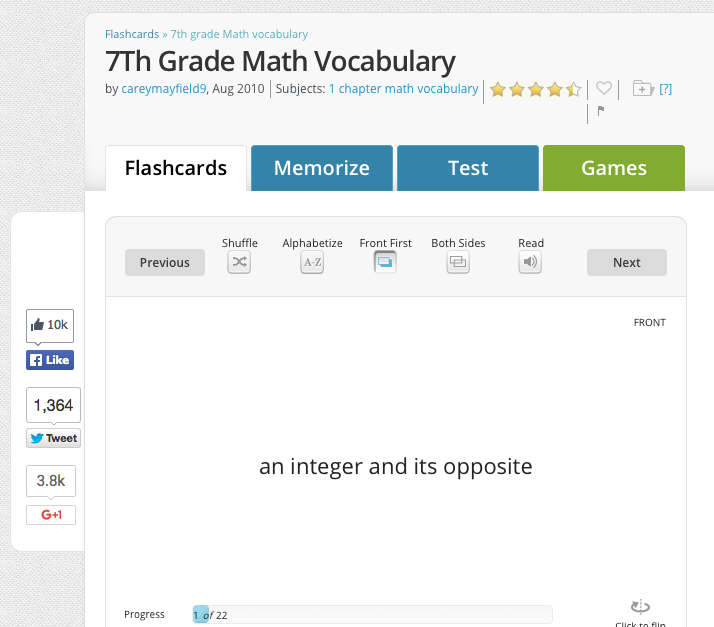 Here are 22 7th grade math vocabulary flashcards that can provide you plenty of valuable study time. Choose the range of words you want to study, and then you can learn the words online, OR print them out! You can study on the “flashcards” tab, or you can click over to the “memorize” tab. On that tab, you can shuffle or alphabetize the cards, and then test yourself. If a definition pops up, try and guess the word. If a word pops up, guess the definition. And after clicking “See Answer,” you can either click that you got it wrong, or you got it right. Then you can keep practicing the ones you got wrong until you know them like the back of your hand! The “Test” tab is also helpful–it features the vocab you’ve been studying in a different format. Match the words and definitions of each card for greater comprehension! 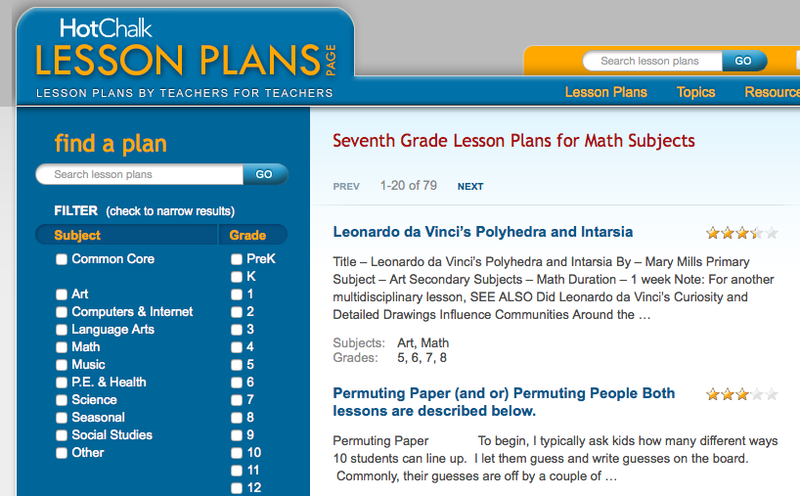 Looking for a solid list of 7th grade math lesson plans–by teachers, for teachers? Check out Hot Chalk. This page has clever lesson plans for everything from permutation to area and perimeter. 1. Teacher will tape a line on the floor across the room and create cards of integers from the -15 to 15 and have the students come up and choose a card and create the number line. 2. Students will place themselves on the number line and the class will go up in groups of 10. 3. Students and the teacher will discuss the spacing, number values, opposites of the numbers and absolute value of the number. 4. The teacher will cover the rules of negative and postive numbers and practice the concept on the number line with students doing the moves to the correct answers. 5. The relationship of the number spacing will be displayed with certain students in the class with the number the teacher calls out and the students will decide what the answer is to the distance between numbers. 6. The teacher will create equations that the class will have to solve on the number line as a group. First Addition and then Subtraction. 7. The class will complete the textbook homework during class and finish as homework. 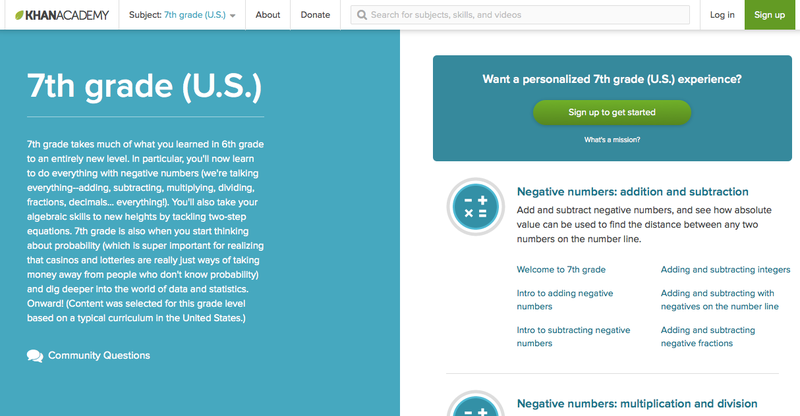 If you’re looking for personalized 7th grade math lessons, Khan Academy is the place to go! They’ve got a huge, reputable database filled with instruction on any of the finer points of many, many subjects–math definitely included! The videos feel incredibly interactive, too, unlike many videos that are supposed to mimic classroom instruction. A warm, professional voice narrates, and the examples are drawn in real-time on a black screen, which looks somehow clean AND human. After watching a video, too, you can click the big green “Practice this concept” button, and you’ll instantly be taken to a page where you can answer practice questions to your heart’s content. Learn Zillion is incredibly designed, common-core-aligned, and bursting with quality. This is the place to go for 7th grade math lessons, for teachers and students alike. If you click on a particular standard (the blue letters) or lesson (the small grey folder icons), you’ll be taken to a screen with multiple high-quality videos. One video is titled “direct instruction,” and can be used to teach a class, or for extra homework help. There are also often more videos under “additional resources” that further explain the lesson. Free videos, lovingly made. 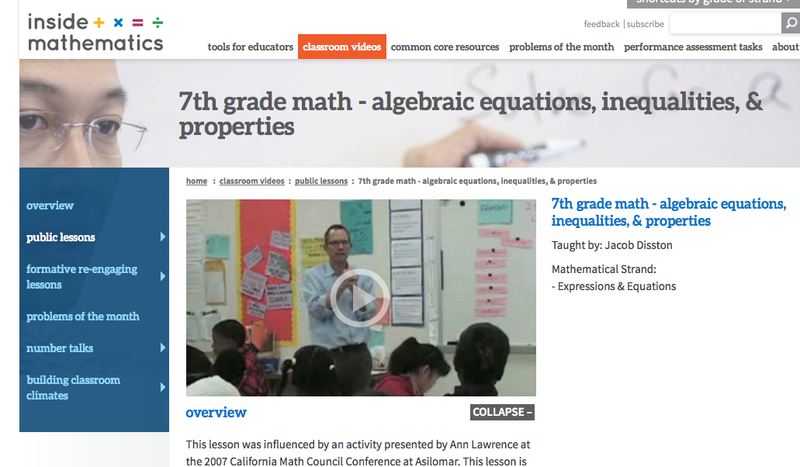 This is what you can expect when you check out the math videos for your 7th grader at MathFox.com. 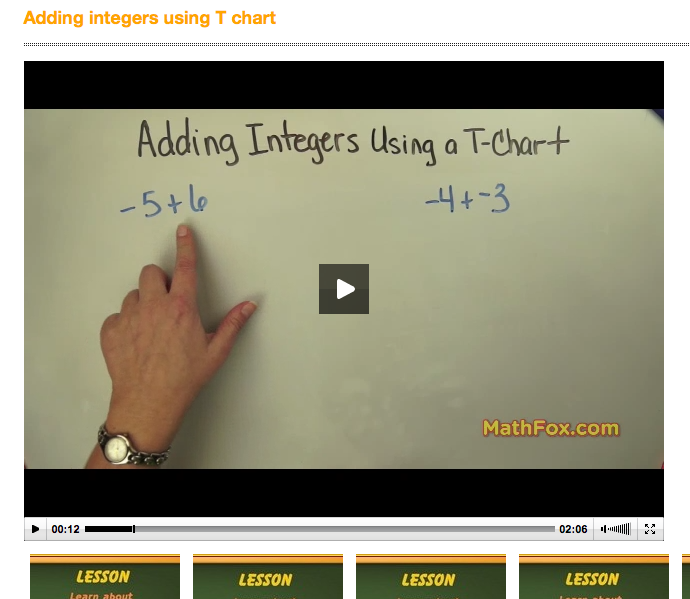 Look up video lessons on any topic from integers to decimals to angles to exponents, watch, and rewatch. Unfortunately, this resource isn’t exactly free. You can watch any single video for no charge, but if you try and click over to a second video, you’ll need to register for a paid account if you want to continue to watch. Packages range from single accounts for enthusiastic students, to classroom-wide accounts for smart teachers. A year of access for a single account costs $56 (or about $4.67/month), while 6 months for a single account costs $39 (or $3.25/month). My advice for students looking for extra practice? Find two friends who share your passion for math and split a 6-month account. Then you’re free to watch as many times as you want! Sure, there are a ton of math videos out there. But what about videos from actual math classrooms? These videos take you inside the classrooms of top teachers. Explore the public lessons they offer on Area and Perimeter, Algebraic Equations, and Comparing Linear Functions–to name a few. While students might find some benefit from seeing lessons explained in more creative ways, it’s likely that they won’t benefit as much as the students actually experiencing the lesson. However, since they’re free to watch, there’s no reason why you shouldn’t try! 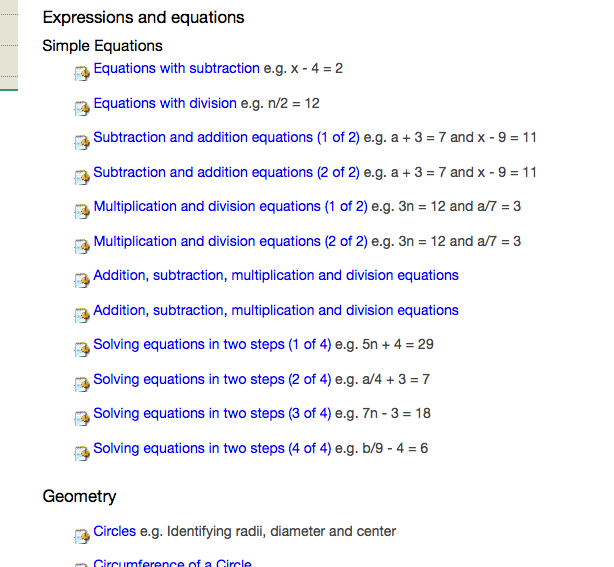 This document features 14 Common Core 7th grade math example problems. It includes a key, an explanation, and an overview of the skills needed for the student to successfully complete that particular problem. One thing that’s nice about these questions is that each problem relates to a specific core standard, and also includes an explanation of why that particular problem relates to that core standard. 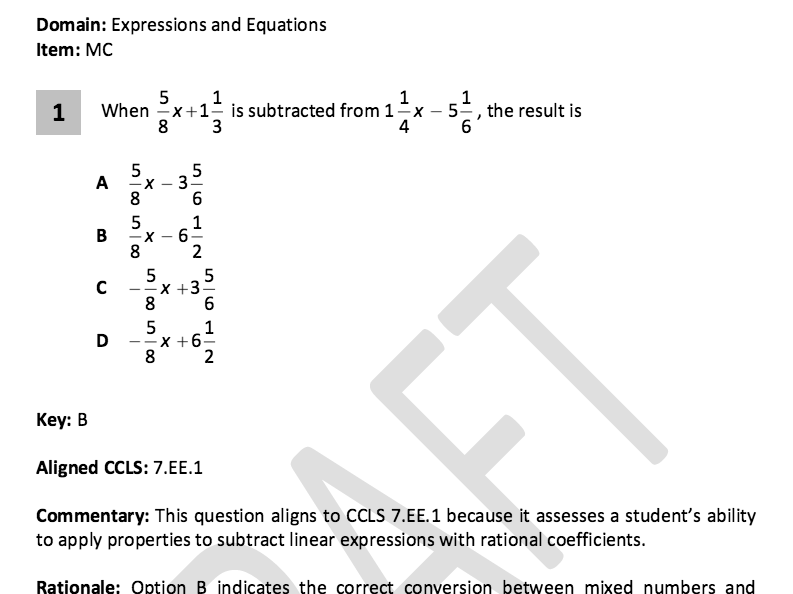 Commentary: This question aligns to CCLS 7.EE.1 because it assesses a student’s ability to apply properties to subtract linear expressions with rational coefficients. With this kind of explanation on every problem, you get to avoid the “Wait, is this ACTUALLY Common-Core aligned? Or are they trying to fool me? ?” heartache that’s all-too-common in our internet age. This website features 44 Common Core sample problems for 7th graders. Students get instant feedback after each answer, as well as an explanation of why their answer was correct or incorrect. One thing that’s a little strange about this website is that you can only see one question at a time. 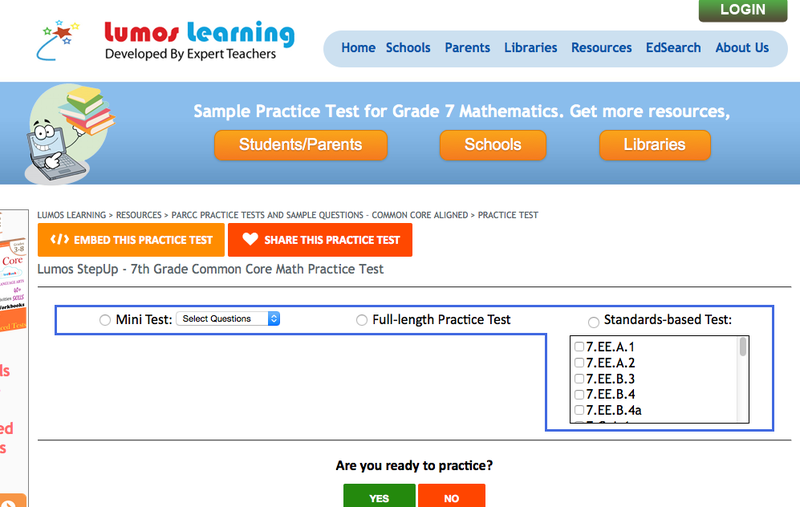 Students can click on the “Practice Question” button next to a particular core standard, and then answer it. But to continue answering questions, you’ll need to click the “back” button, and then click on the next core standard. 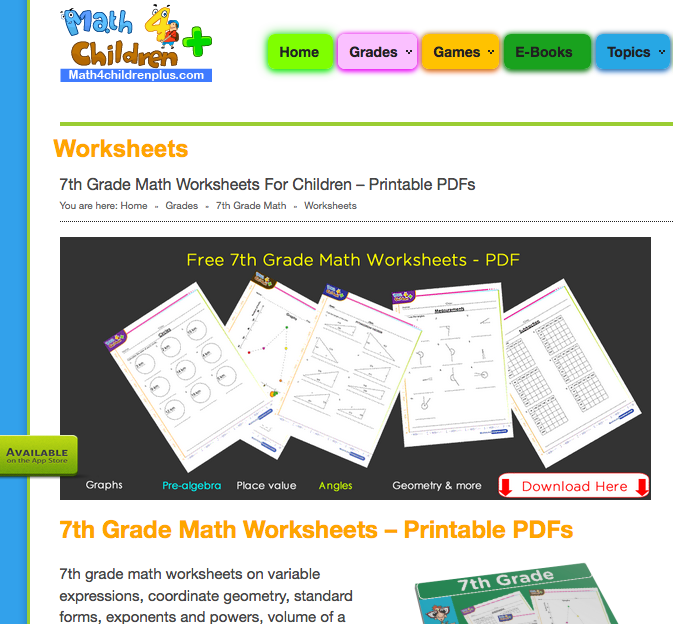 This website offers more than 30 printable worksheets for 7th grade math. But wait–the problems are randomly generated each time you click on the worksheet link! 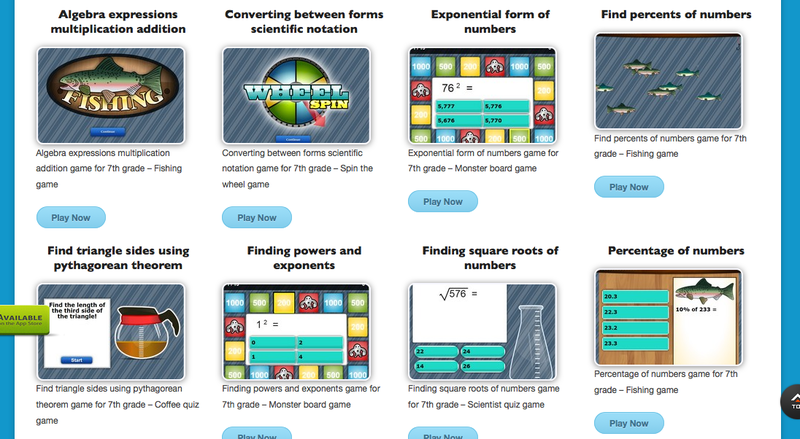 This means you’ve got endless problems covering 7th grade math concepts–for free! Each worksheet also includes answers to each randomly generated question, so you can check your work (or your students’ work)! There aren’t any explanations, but you can’t always get what you want. Please note that these free worksheets do not cover all 7th grade topics; most notably, they do not include problem solving. That being said, they still DO cover a majority of topics, and they have infinite practice problems for these topics. Definitely more of a win than a loss! Oh, what’s that? NINETY 7th grade math worksheets that you can print and fill out? For free? These PDFs can’t be automatically refreshed, so each worksheet is sort of one-time use (at least, if you’re a student practicing on your own). However, the topics covered include order of operations, polynomials, graphs and data tables, rational expressions, radicals, linear equations, complex numbers, logarithms, finding values and functions, quadratic equations and geometry. Each worksheet also includes an answer key on a separate page, much like Homeschool Math. Download ’em, print ’em out, and get practicing! Want even more printable worksheets for 7th grade math? Look no further than Helping With Math! With worksheets covering decimals, expressions, equations, geometry, integers, percentages, ratios, and statistics, you’ve got all the materials you’ll need for any 7th grade math review session. Also, HARK! These worksheets DO cover problem-solving! They have an entire section just on word problems, as well as other problem-solving worksheets. However, the answer key situation is somewhat unclear. When you click on a worksheet, there’s a box you can check that shows the answers, but whether or not the answers print out on a separate sheet remains to be seen. These worksheets are also much longer. While Math4Children Plus and Homeschool Math had one-page worksheets, these worksheets can be up to 10 pages long. 10 pages of practice for one concept! As far as practice materials go, I give this one a huge thumbs-up. 192 pages of drills and practice? Yes, please! An Amazon reviewer calls it “a wonderful practice book that covers all the basics,” while another says that “each subject is introduced with good clear concise explanations.” This 7th grade math workbook is sure to please. Looking for another 7th grade math workbook? Reviewers call this “well-written” and “easy-to-understand.” The pages also tear out for examples and assignments! There are a whole lot of textbooks out there claiming to be aligned with Common Core standards. But EdReport did a detailed investigation of over 80 textbooks–and only a handful were actually up to snuff. 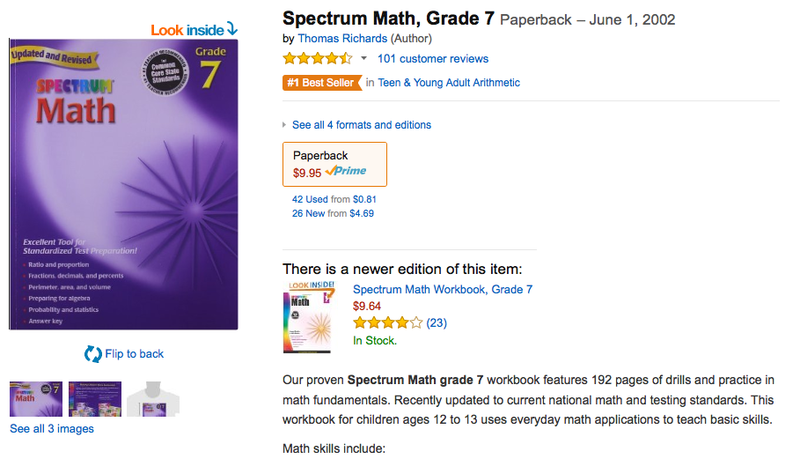 Here is the one 7th grade math textbook you can count on. 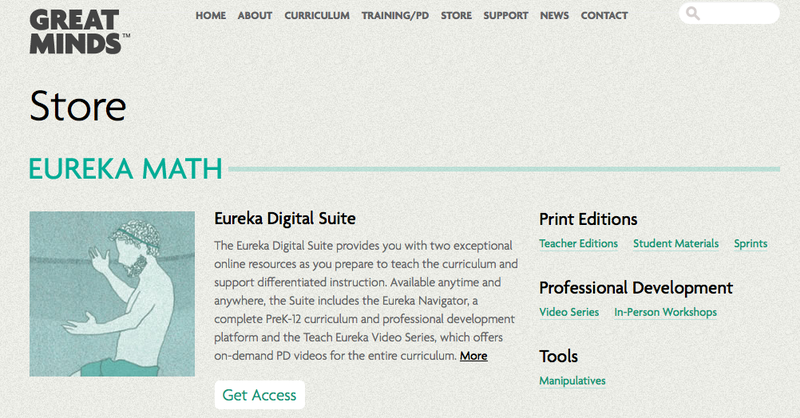 Eureka Math is a series published by Great Minds, a small D.C.-based nonprofit–and one of the only publishers to pass EdReport’s investigation with flying colors. As far as 7th grade math textbooks go, this one is absolutely high-quality. Do you want some basic 7th grade math practice? Math-Tests.com offers different free online practice tests on the subjects of adding and subtracting integers, the coordinate plane, and translations. With practice tests, it’s fair to say that there’s a scale. Some are more on the “practice” side, like Lumos Learning (below). 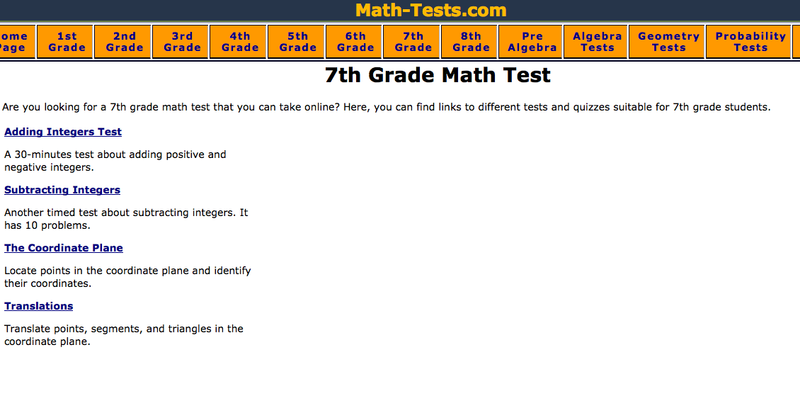 Math-Tests.com is definitely on the “test” side. This means that the tests have a time limit, and if you get a question wrong, there are no helpful paragraphs explaining why. So, if you’re looking to see how you do under pressure, try out a test from Math-Tests.com. If you’re looking for a more low-key, customizable experience, read Lumos Learning’s description. Hey, this looks familiar! But even though we’ve seen Lumos Learning before on this blog post, their practice test is an entirely different experience from their practice questions. Instead of clicking a single question and clicking back, you can get a full practice test experience. If you’re looking for a customizable, Common Core aligned, 7th grade math practice test with instant feedback, Lumos Learning is the place for you. Practice for free, and choose the length of your test. You can even customize the standards you practice! Wondering how coffee and the Pythagorean Theorem go together? Well, look no further! 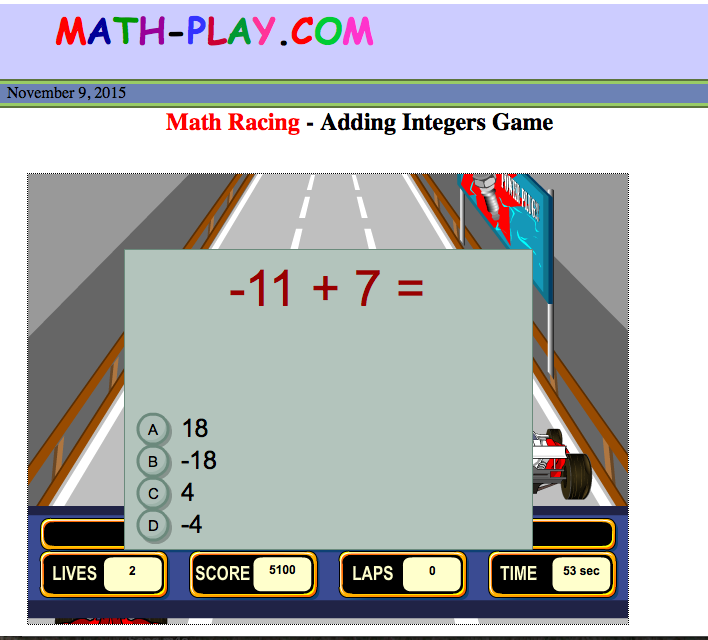 Kids MathTV offers 7th grade math games that are unexpected and educational. You might think that “fishing” for remarkably quick-swimming rainbow trout would be dull. (And even moreso when you discover that catching a fish prompts the game to ask you a question about percentages.) But somehow, the graphics, the simplicity of the questions, and the fact that catching a fish does take a peculiar blend of timing and skill all combine to make this gameplay sort-of exciting, and largely soothing. This board game mostly features flashing lights and cute monsters, but the uncertainty of which game tile will light up, plus the broad range of questions (I went from answering 1-squared to 62-squared within ten seconds. What??) are sure to be more interesting than filling a virtual coffee pot. Arguably the least fun of the three, but STILL FUN. I stand by this. Somehow, spinning a wheel and waiting to see what it lands on–even if the thing it lands on is a math question–holds timeless excitement. Anyone who likes racing games will be excited about this game. The math questions do feel a little bit like they’re interrupting, but there are enough other aspects of the game that make it fun. Maybe I’m the only one who thinks this is fun, because I remember watching “Who Wants to be a Millionaire?” as a kid. This math game is incredibly straightforward. It doesn’t waste time trying to pretend it’s not actually just asking you math questions. But by embracing this, it makes the questions fun. Dramatic music, plus fun graphics, plus the tension of winning fake money…it all combines to create a worthwhile 7th grade math game. This game is actually two-step. First, you answer a math question. Then, you try and score a three-pointer (which actually requires some game skill! You need to be quick with your mouse to line up some circles and lines). For me, the combination of math-question with actual-game makes this fun. Consider it recommended! While all math skills and concepts learned in 7th grade are important, this section focuses on a few key math concepts that MUST be reviewed, practiced, and understood in order for students to successfully build on their math knowledge and increase their mental math speed going forward. Some of these concepts may not have been taught in 7th grade, but they should remain the main focus of review. Make sure you have these concepts mastered by clicking here! 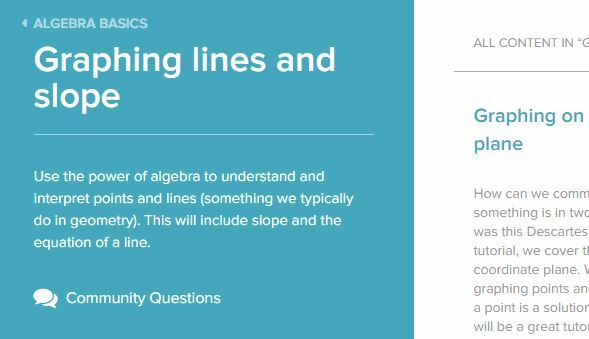 Here you will learn everything you need to know about the graphing lines essential 8th grade math concept. Remember to use our 5 step proven learning process when going over 7th grade math topics and concepts. Review the essential 7th grade math concepts needed to be successful in upcoming years. I study in grade 7. I like solving mathematic questions. I’m very eager to learn new topics and be a first ranker in mathematics. So I would like to join your website. Thank you. I want to join fast. Hi, my name is MeeShen Kim. I’m in 6th grade. I really love math, so I would always go on websites and learn different kind of math. My brother is a math teacher. Sometimes I would help him. I just wanted you to know that I think these math problems are like a review for 6th grades. Thanks, MeeShen, for your comment! That is great you love math – keep it up! I love math too. 🙂 And I used to teach it in a high school in Arizona. What is your favorite thing in math so far? I am ecstatic to hear that our articles have been valuable to you! We spend a lot of time researching our topics to provide the most up-to-date and practical tips. We also post an article every week, so there’s no shortage of content for you to browse — on your own time, of course. I look forward to hearing more helpful feedback from you in the future. Happy learning!